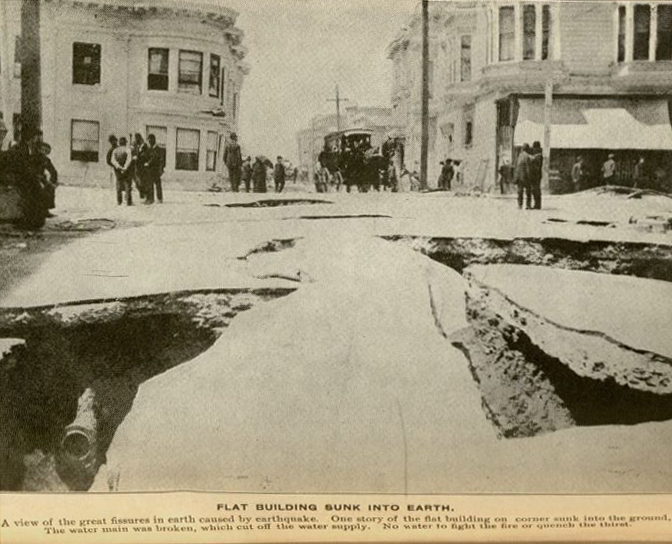 On April 18th, 1906 at 5:12 in the morning a large earthquake shook the people of San Francisco awake. The residents of San Francisco and the surrounding areas arose to a devastating view of their city. 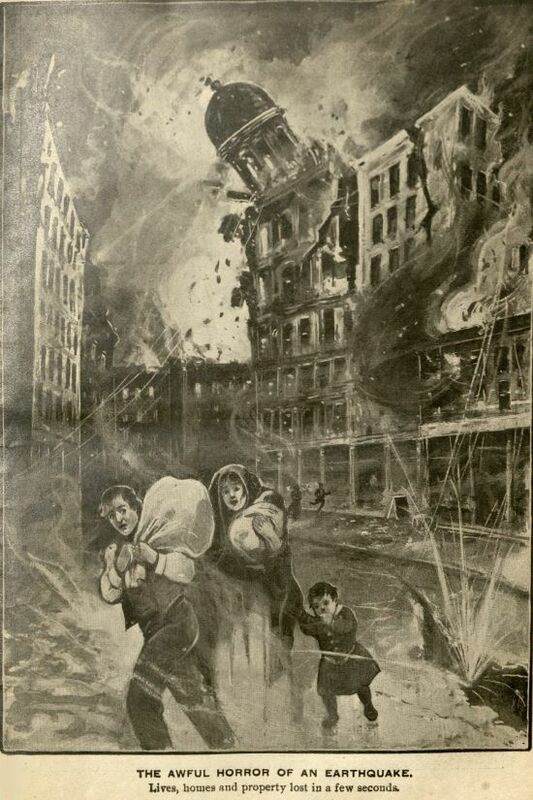 Buildings crumbled, water mains were broken, and fires erupted throughout the city. 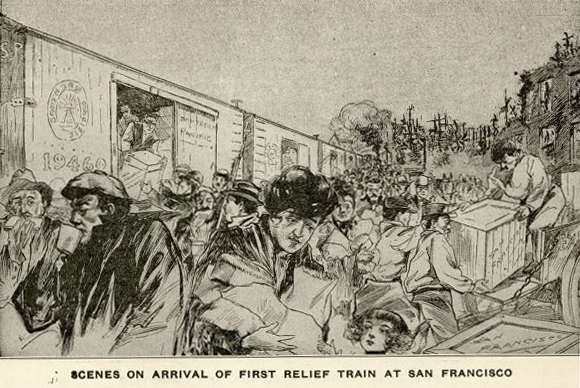 In 1907, the San Francisco Board of Supervisors claimed that 478 people died in the disaster. However, in the hundred-plus years since the earthquake, researchers have estimated that as many as 6,000 to 8,000 people may have perished. 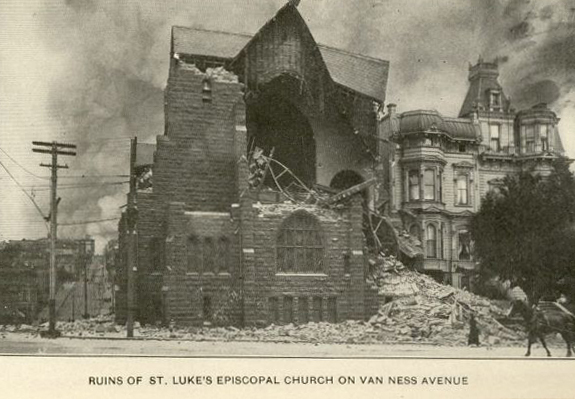 There have been many books, articles, and anniversary publications written about the San Francisco earthquake. 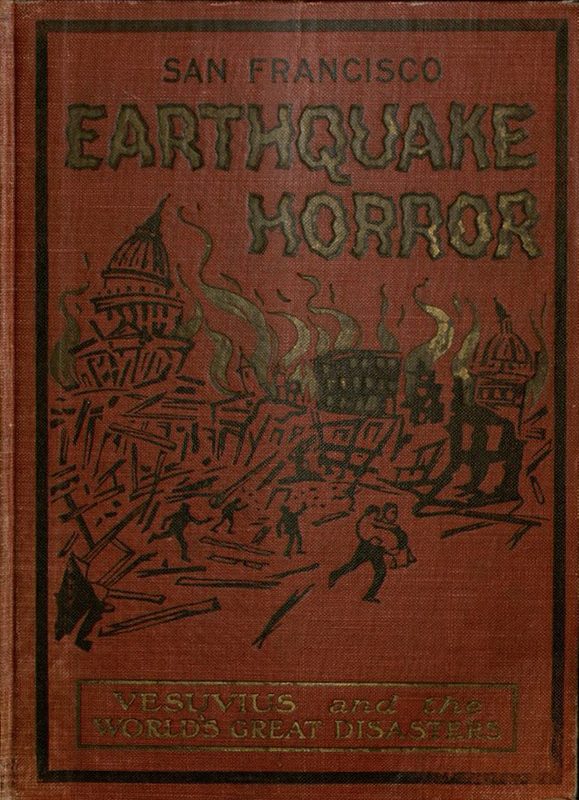 In Special Collections, we have several books that were written specifically about this earthquake, either from a personal perspective or as a retrospective of disastrous earthquakes and the disasters immediately following those events. 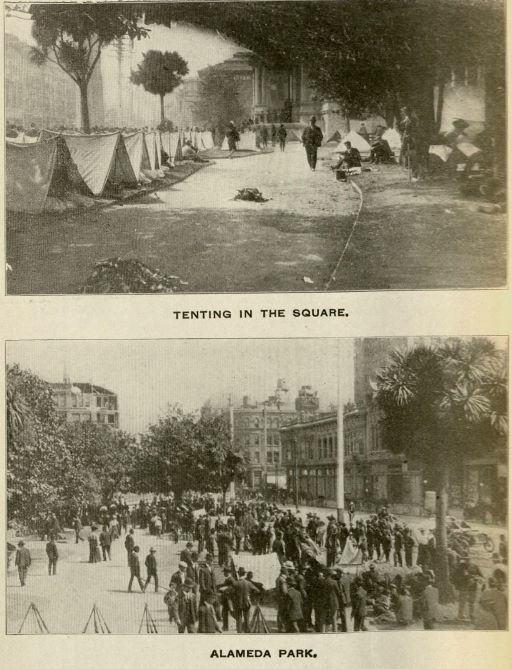 Because the books described below were published so soon after the San Francisco earthquake occurred, they offer a unique perspective for researchers. 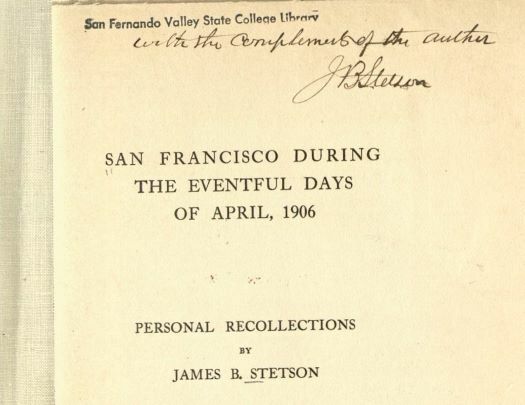 In San Francisco During the Eventful Days of April, 1906, author James B. Stetson recounts his experiences from the moment the earthquake first occurred to the difficult days in the aftermath, living outdoors with only a small suitcase of his belongings. This particular book is a shocking, yet entertaining way to read about the earthquake. The author tells the story from his own point of view, detailing the earthquake and the events following. As the author explains, he and his neighbors went outside and walked a few blocks to observe what was happening in their own neighborhood, seeing several fires around them. He later shares that he goes to his bank and requests to view some of his belongings. Besides his personal experiences, Stetson also shares a little bit about others' experiences during the devastation, such as walking through Chinatown and seeing all the people trying to figure out what to do. 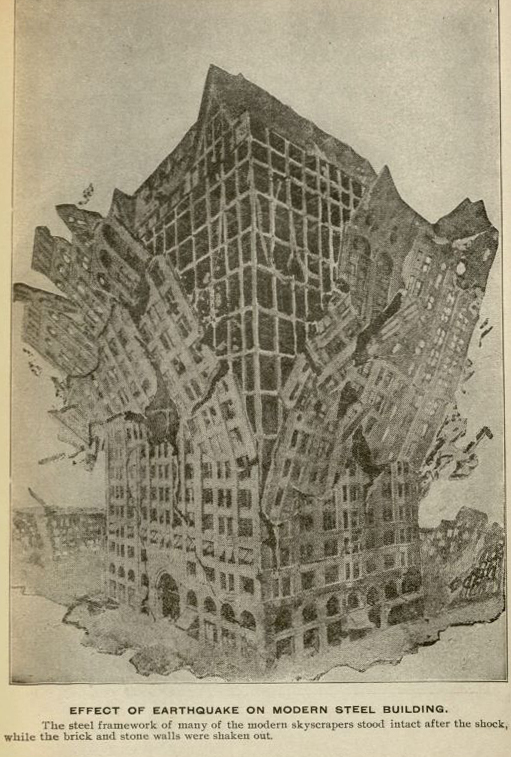 San Francisco’s Great Disaster by Sydney Tyler and San Francisco Earthquake Horror by Richard Linthicum were both published and illustrated in 1906. These are books are relatively similar in the sense that they are stating events that occurred through direct observation, including scientific accounts and historical references. Interestingly, Linthicum’s account is organized day by day, the first four chapters referring to the first four days post-earthquake. 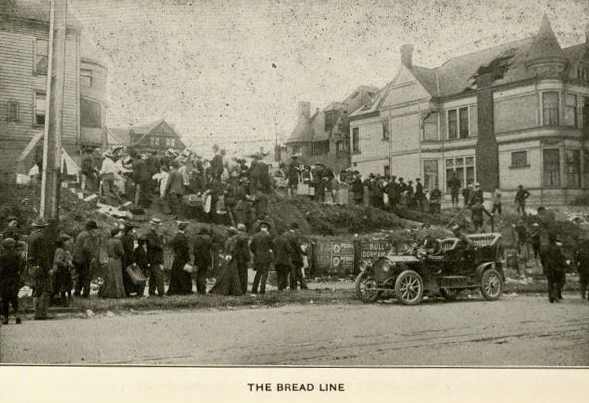 It also contains a chapter titled, "The City of a Hundred Hills," which is a description of what San Francisco was like before the earthquake and fires. Both books draw parallels between the San Francisco Earthquake and the volcano eruptions of Mount Vesuvius in Italy. 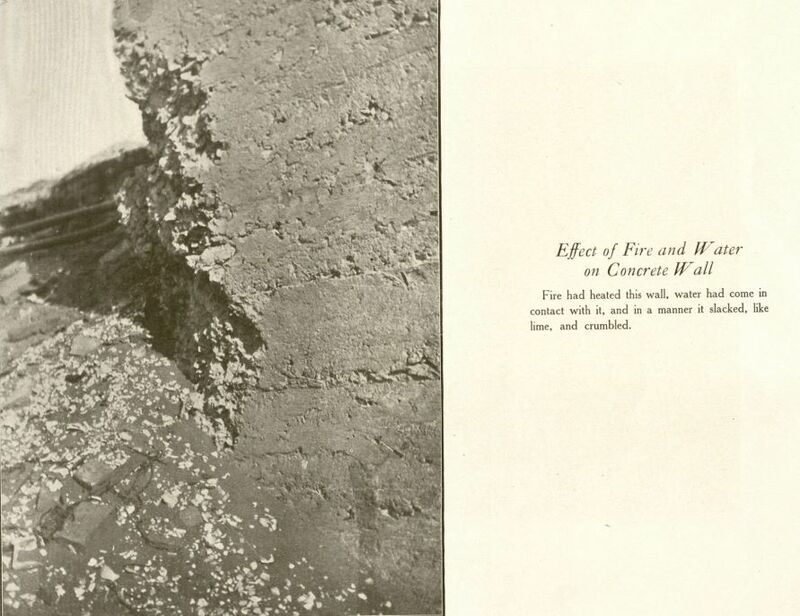 Burnt Clay Products in Fire and Earthquake is an illustrated book published by the Brick Construction Association in 1907. 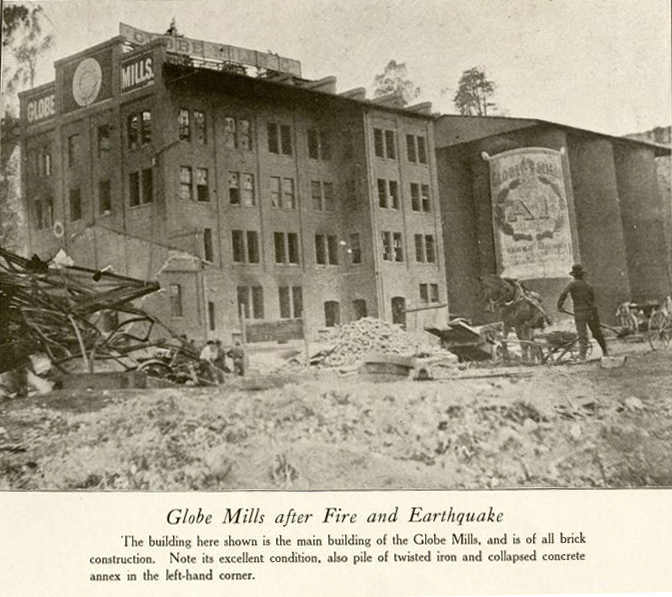 This book focuses on the effects of the earthquake and fires on different structures made from various building materials throughout the city of San Francisco, as well as other locations throughout the pacific coast. In the book’s forward, the authors state that the reason for creating this illustrated guide is so people, especially civil engineers, can view the strength of brick, but also "…the defects of brick, stone, concrete, reinforced concrete, and frame construction…". 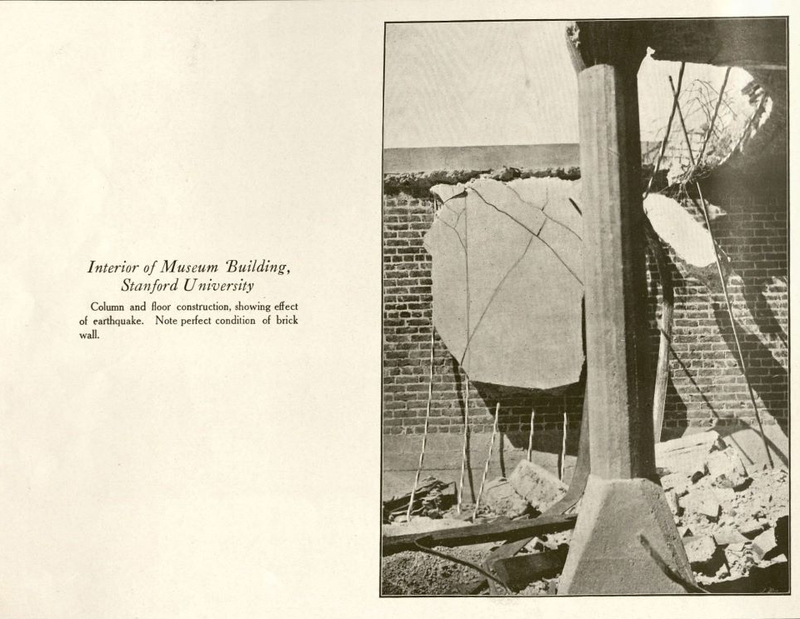 Through images, this book clearly illustrates how structures made from a variety of materials were affected by the earthquake and subsequent fires. All of these books describe a tragic moment in California history, through personal experiences, scientific studies, or imagery, providing firsthand accounts of an event that everyone on the West Coast hopes never occurs again.